OK, working on this I had a funny situation. I started up an internet listen server, didn't bother to password it, and I had 3 people connect. They were able to join teams too, I told them hte game wouldn't work and got them to leave and I closed the server. What do you mean? If the changes are server-side only, then I think it'd apply to everyone who joins (see the Balance mod): the clients probably wouldn't be doing anything with those files, I think... I'd be more worried about the client-side stuff not displaying for them properly, and therefore them being unable to do what they actually need to, to play the game (like interact with the server in certain ways). At least I think they're independent. So it should, actually, be perfectly possible to run a server-side only mod with other players never having to download anything for it (and possibly never knowing any better). A note on Free Aim. This is not Free Aim. It is an accelerated movement aim. I will not bother confusing people with how normal free aim works, I shall only explain how this works. When facing a direction and you move the mouse, your player turns. With this code, this still happens. The only difference is your aim point moves faster than you turn. If you move the mouse 2 cms to the right with or without freeaim mod you will be going in exactly the same direction, at exactly the same speed. Your cursor just gets to the point faster than your body does. Imagine in reallife, if you snap your view to the right, you turn your head 1st and body 2nd. This mod just simulates that by moving your view faster than your player is turning, but does not affect your speed of turn in anyway what so ever, there is no dead space where your player is not turning. I am going to suspend modding the code for a bit, just making necessary balance tweaks to numbers and fixing bugs, as the game is pretty much feature complete for this stage of development, until UWE release more abilities for me to add. Broken in 196, but that's no surprise. As soon as I read added IP for spawn, I knew I was in trouble. The mode needs a name. It's getting to the point where I am considering putting a site together for the mod, and taking it on properly, but I need a name. Next patch is turning in to quite a big one This is good news. When I have finished this release I will draw up the mapping guidelines. The requirements for mappers has been greatly tidied up in this release. So much so that this release is going to roll it up to v2.0.0a Admitedly, this would have been better to release as v1a, but that was a fully playable game. This is tidying up the requirements behind the code, not really gameplay changes, just a few HUD changes. At this early stage my approach is still very hackish, in places I will just empty out functions by commenting out the code inside the function. As NS2 releases get more stable, then I will start to make more of the changes proper, so eventually it is running almost entirely off it's own code base. As stated next release comes with 'Official Mapping Guidelines' w00t! Here is the release of the first full alpha of Proving Grounds. The game is Marine vs Alien combat in a tdm style. Each team spawns at a location with a single res node and a tech point. Straight forward combat between the two races using their unique weapons. Weapons/Class/Ability upgrades can be bought from Res earned from RFK. Both teams press 'b' to buy. Players are free to buy weapons/classes/abilities at any time, provided they have the res. 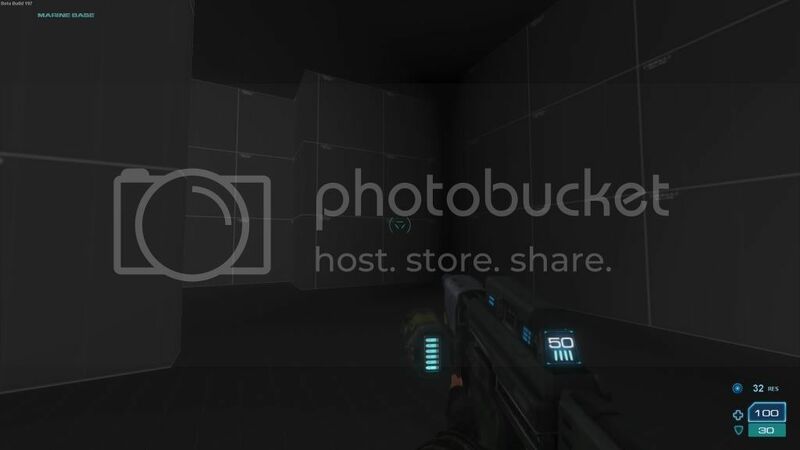 Includes Grey box map (A re-working of Sgt Barlow's MvM map reactor from NS1 by me) This is just a greybox alpha at the moment. Gorge has 'PowerSlide' ability when belly sliding for cornering, and can also slide without infestation. Marines walk speed is same as NS2 run speed, run speed is slightly faster. Game just needs playtesting for balance and to work through bugs and issues I haven't encountered. 2 Res Nodes (1 near each TP, preferably behind the TP). When I get my server up I will give this a go! Let me know the IP! All set up over there, thanks. Wow this looks like a great start for a mod! Nice job! I wouldn't remove all structures. 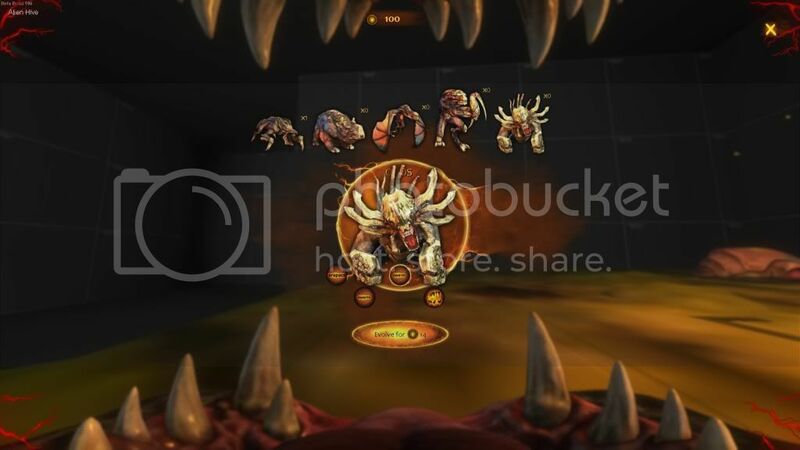 For example, you could allow players build temporary Hydra, Sentries, Crags, and so on. I wouldn't all structures. For example, you could allow players build temporary Hydra, Sentries, Crags, and so on. Yeah don't remove everything just disable for now, i for one would love to see some sort of build menu even if limited right now, make it expensive if you have to but options are always good, hopefully we'll also eventually see something like extra levels for some added fun. 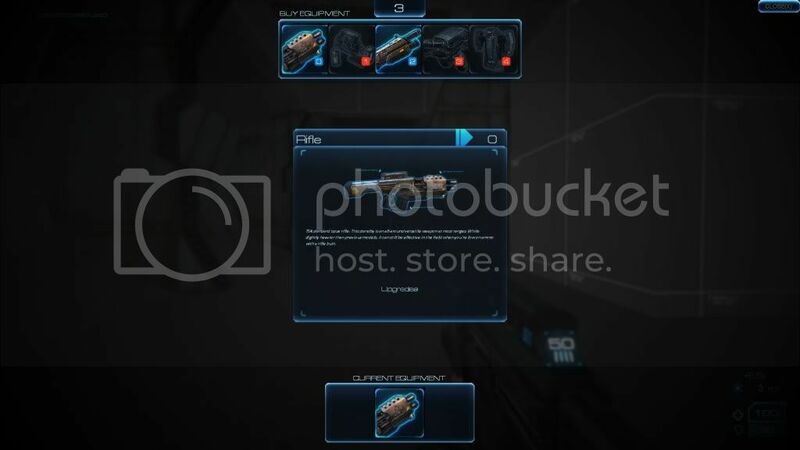 Something that might be forgotten, in ns1 players in a group got a small bonus from kills others had made just by being there, it was probably quite important to keep the game play progressing and so no one was completely left behind, they even made it so late joiners got enough to upgrade one or two things. I haven't removed them from the code yet, just from the game. This is an FPS only. Team Deathmatch, Player vs Player, not player vs static defense. You could always mod the code to allow hydra's etc, but this will be player v player only, as will most of the modes made by me. There is no catch up in this game, as unlike combat, there are no levels. This is more like CS in that respect, you spawn, you buy your loadout and you fight, except when you die, you respawn in without waiting for the round to end. RFK keeps you going, and if you really can't kill anyone, your team has 1 RT supplying each player with .25 res every 8 secs, to enable you to buy stuff still. If anyone happens to see a server online called NS2:ProvingGroundsv1 - It's me on a listen server at home. If you have the mod, jump on We'll get some testing done. Code changes rather than bug fixes. Next update (unless NS brings one out in the meantime) will be focused on tidying up the spawning situation. Prior to 196 aliens used eggs, and only marines press fire to spawn, that was supposed to be temporary. 196 Build changes in NS2 changes meant a quick fix for marine spawning was needed, which was to cause both teams to use fire to respawn. This means the alien team does not use eggs anymore. Now I feel it is a good time to try and focus on making the spawn code more stable and permanent. I will come up with and test some different options. I have a couple of ideas currently. Fade blink is not working in the mod because I forgot to merge the fade.lua file into 197. As no-one is really playing this yet, I'm not going to release the fix yet, although it is done . First of all great job doing this! A few questions/suggestions regarding the res system and combat. 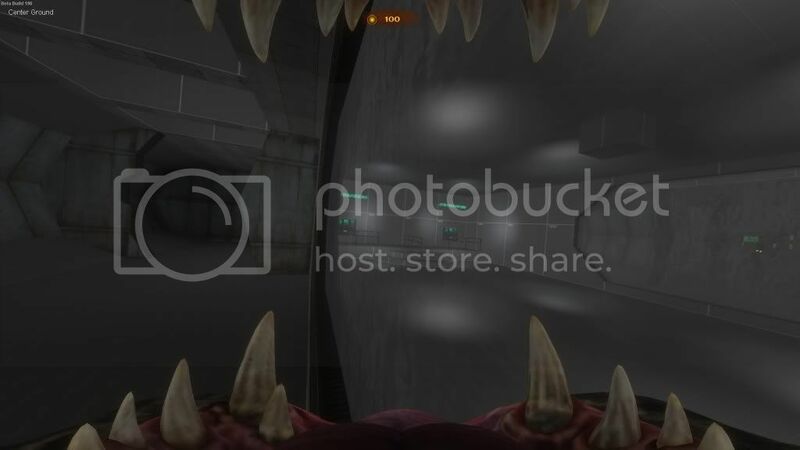 -Are there any plans to further encourage players to attack in groups like in NS1:Combat? For example splitting res for kills among nearby players? Although this doesn't help that player who sacrificed himself in order to gain an advantage for the rest of the group to win the battle. I never liked that in combat and it encouraged a defensive play style with no one in the group willing to take a risk to bait the enemy group or whatever. Maybe also include players into the res-sharing process who just died in that battle up to a few seconds ago? -Do you think it might encourage teams to play more aggressive, if both teams had a second, more vulnerable res node located between the center and the spawn locations? It would definitely spice things up without complicating the team deathmatch much. Getting players to attack in groups is definitely something I want to encourage. How I am going to do that I'm not sure I mean theoretically, the more you stick together, the more chance of survival anyway. Aliens have swarm upgrade, which encourages group attacking among those that have it. I'd rather not give players a 2nd RT, I'm already thinking about reducing the rate of res from .25 every 8 secs to .1 every 5 secs, I don't really want to increase that with a 2nd rt, even temporarily. I may have to look at shared RFK, but with a PRes limit of 40, I don't want people to earn res too easily. Essentially I'd like to find ways of encouraging teamwork without always using res as the carrot. Rather than put a 2nd rt in a more vulnerable position, why not put the original RT in a vulnerable position? That way it forces players out to look after their only RT That's a mapping test that can be carried out, and is much more aggressive, because if you do lose your rt, you rely totally on rfk. Forces you to get out there, and if you lose your tower, you need to get the other teams down quickly to stop them having that advantage, so you still need to be aggressive, and obviously really require teamwork. Balance is going to be miles off in this for sure without deep testing, but I think making the RT vulnerable is the option for getting people out of their base. This should force some degree of teamwork too. I thought about adding squads too, where you can team up with 3 other players on your team and form a squad together. I could then enable respawn on squad, if you died with your squad, providing a bonus for teamwork. Creating a new spawn system for marines is going to take me some time. With some testing help, and additional code, from Dghelneshi, I've released a fix patch for almost all known issues. There has been a gameplay change to force teams out of their base. RT's are now to be built halfway between techpoint and the centre of the map, so teams don't just sit in their base. To account for this change I have removed the need for harvesters to be on infestation, so if the cyst train to the harvester is broken, the harvester doesn't die, players have to kill the harvester. Can anyone design me some logo's, pageheader's etc for the mod? 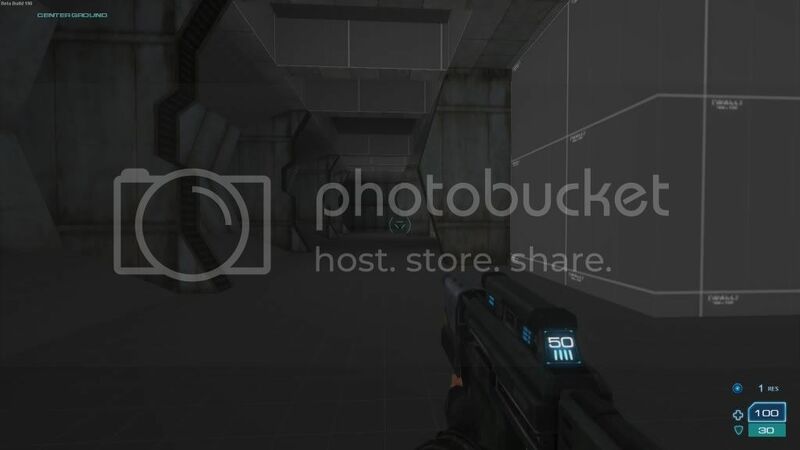 I want to get some professional looking media before I upload to ModDB, so it gains more promotion for NS2. Server is hosted in US west coast. No excuse now boys, get downloading. Fixed Marines not getting RFK. You die, an IP gets created and you are assigned to it's queue. When you spawn, the IP is destroyed. I hope to eventually get this over to the alien team too, but for now this is fine. Will probably need to reduce spawning times all-round, but hey, we'll see how it goes at the weekend. Further update implemented a quick health/ammo regen for marines. Everytime you press the buy key, you get 1 tick of armoury resupply. Removed Rifle from buy menu options. Changed mapnames to all lowercase. i have a question how do you deal with the alien resource tower repairing its self while the marines one does not or did you take that ability out of the game? also on a similar note have you allowed welders to be bought so the buildings can be repaired? If you destroy the cysts around the harvester then it cannot regen. I did however totally forget about the regen of the harvester, so it is still in the game. When the welder comes into the game, I am thinking about making it like a med gun, ie when you use it on players, they get their health, and then their armor replenished. You have just reminded me I need to remove hive and infestation healing too. These are very good points, thank you. I don't yet have a clear idea of where this mod is going. I have ideas and general plans, but there is not too much detail yet. I need more PT's and people in general to bring these points to my attention. Xenoswarm Workshop Collection - the mod itself and some good additional maps to play with!